I am fascinated how these beautiful stones, crystals and gemstones look. 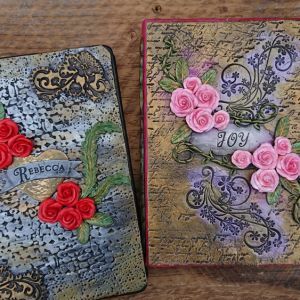 They’re beautiful and thought of them having it on a journal cover excites me. 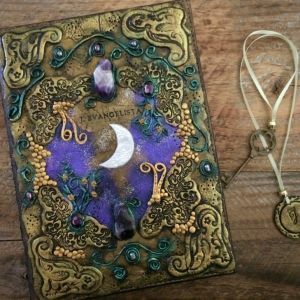 I have seen several artists using them in pendants and they look beautiful and mystical. 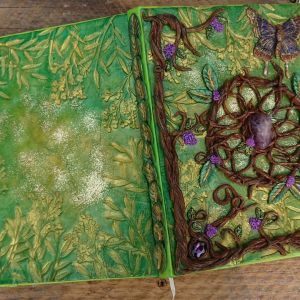 Here are my journal covers that I incorporate stones and beads. I am planning of making a collection of them. I am slowly working on adding more designs. This is a custom order using raw amethyst and tumbled rose quartz. 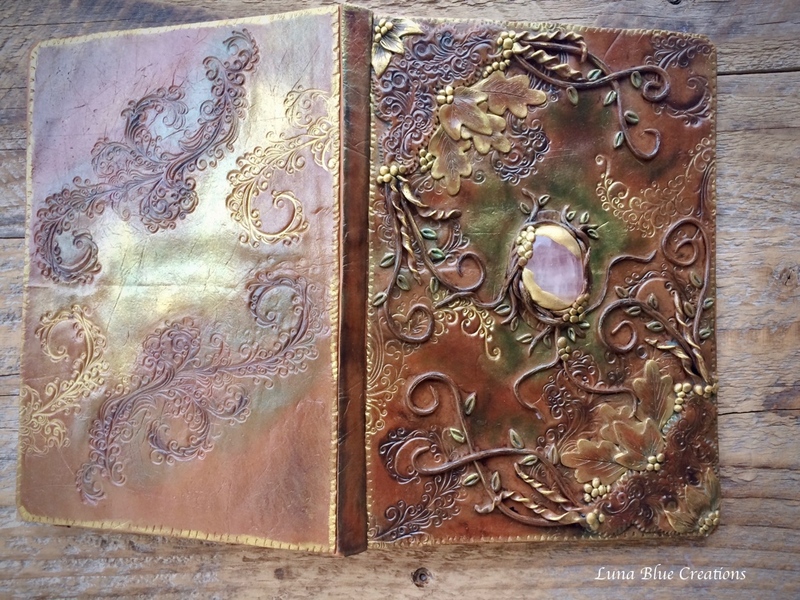 I named this journal ” Old Spell”. 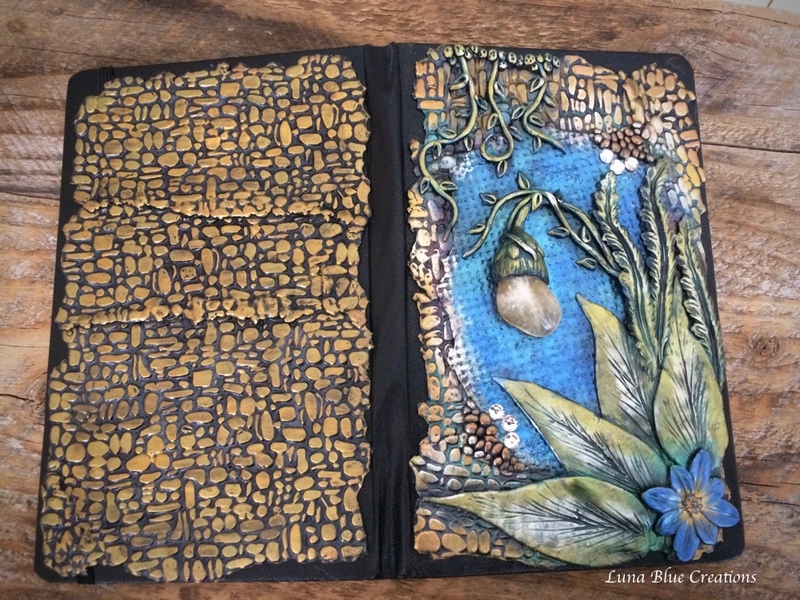 I added a lot of details and finished it with antique gold. This cover looks magical. I used another rose quartz covered with vines. 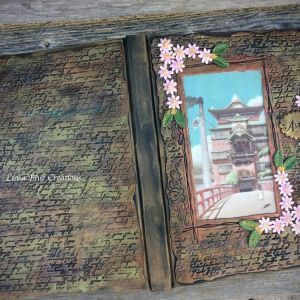 It took me about 4 hours to create this journal cover. I didn’t have a plan at all. One of my random designs but I am pretty happy how it turned out. 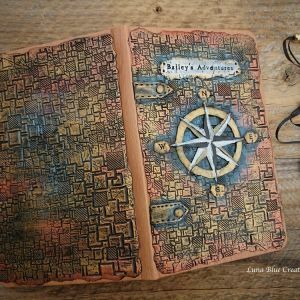 This journal is ancient inspired. 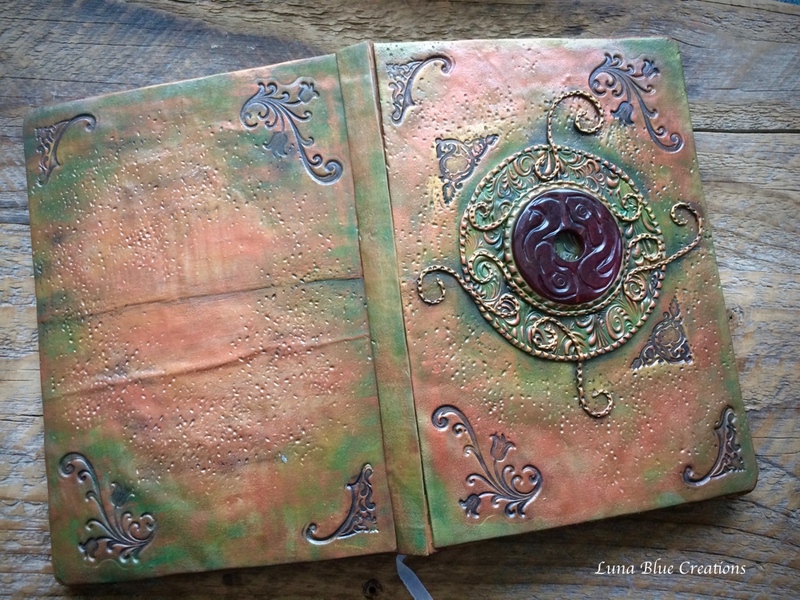 I wanted to achieve an antique bronze finish and create the carved red jade medallion as the highlight of this cover. This is just a simple design but very ancient indeed. 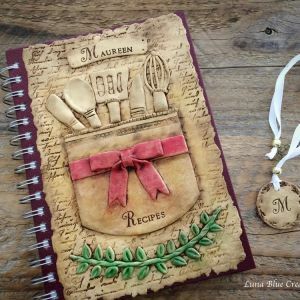 The idea of this journal is something mysterious and magical. 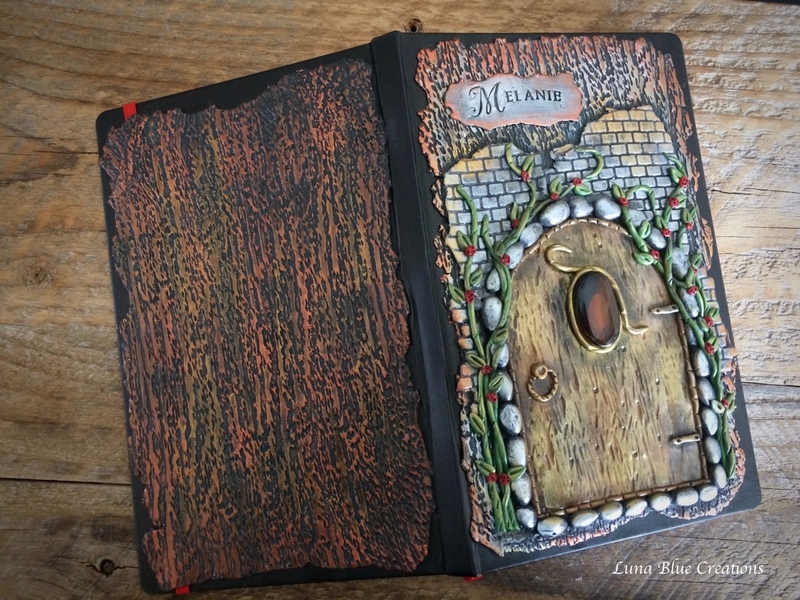 I have seen a lot of fairy doors made by several artists and it inspired me. 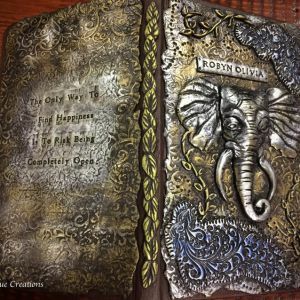 I created my own metallic version that looks mysterious than whimsical. I found a piece of citrine in my stash and the shape was something different. I had to think about a cover that will work with the shape of the stone and I came up with this design. 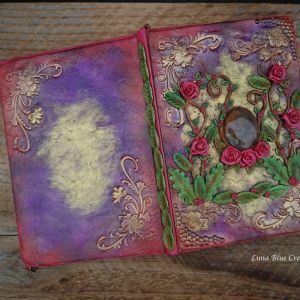 I call this cover “Mystical Flower”… The metallic blue added a nice accent to this cover. I added this cover design to my shop and customer has the options of what stones they would like on their cover. It can also be personalized. In the next few months. 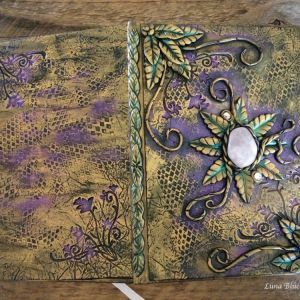 I will be adding more of these stones & gems journal cover. 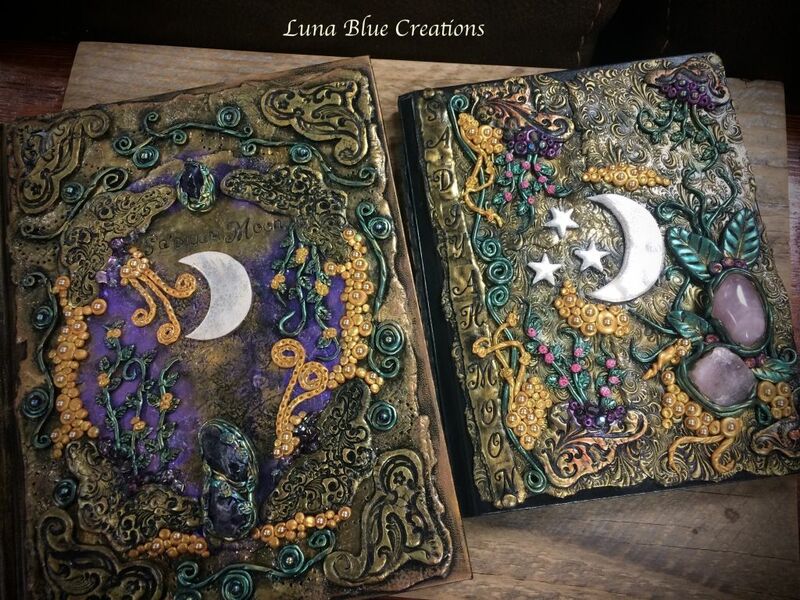 A few of this journals are available for purchase in my etsy shop. 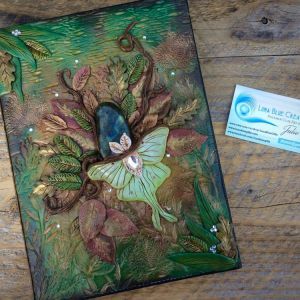 Take time to visit my shop and see more of my work.